This gold compact includes a little color for your entire punim. Appropriately named the “Weekend” palette, today’s giveaway includes a little color for your entire punim. The travel-friendly compact includes a pretty blush, four lip balms from bronze to neutral pink, and two neutral shadows in Simplicity taupe and Cocoa shimmery chocolate. 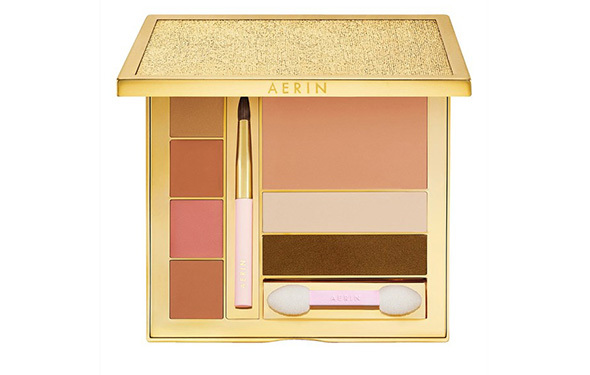 The packaging on Aerin Lauder products always makes me swoon. This gold case comes wrapped a pink suede drawstring pouch, which would make a lovely jewelry holder when traveling. Just a suggestion. Enter here to win.